Listen men, I know that I am about to talk to you about a very sensitive topic. I know that my reputation as a tough Martial Artist might be in jeopardy here, but I believe that this information is going to bless you all and your families. My Fiancée send me out to the supermarket this morning with an uncomfortable amount of Coupons. I know that we like to do our shopping fast; I know that we don’t like to ask if we feel lost, so I was a little intimidated about the task, I must admit. Not only that I had coupons, but I had a list of specific items that were on sale today, so I needed to look for those to. Not knowing where some products were located is a terrifying experience for us men; we like to be in control you know! But I took my time and only needed to ask one time! I really did not know that Borden makes butter, I always knew about them making the best slice cheese, but butter? Well, I found the product thanks to this lady! In about a half an hour I was done with my shopping list. The Cashier gave me the total and I proudly say: “Here are my coupons.” When she finished scanning the coupons that my Fiancée gave me, I was able to save $37.78. That my friend… is a real saving. That $37.78 would have abandoned my wallet, but I thank God for my Fiancée! Because of her, I now have $37.78 extra dollars that we can use to buy something else. Brothers, I encourage you, if you are single, find yourself a woman that knows how to work the Coupon System. If the woman you are in a romantic relationship with does not know how to work the coupon system, encourage her to learn. If she refuses, that is a good sign that this is not the woman God has for you…flee from her!!!! She is part of the enemy’s camp that is after your wallet! Every time I buy groceries with my Fiancée I see savings of $75.00, $100.00, etc. When it comes down to using those coupons she is a beast, a monster, an animal…. I know this is the woman God has for me because of her ability with coupons; it is that simple, I need no other confirmation! The only downside, and this is my warning to you men out there, is that if, for whatever reason, she forgets a coupon, miscalculates her savings or the Cashier mess up in the scanning process; you are going to hear about it. Brothers, they go on and on, even if they miss a fifty cents savings. When that happened, it is a good time for you to go to the bathroom and stay there until she cools off. Do not stay there too long either or her wrath will come upon you. You need wisdom to know for how long you need to stay in that bathroom…Ask the Lord for wisdom, please! Brothers, when they get like that, they may come after you and me if we say the wrong thing. Men, we must understand that there is a jungle out there! There is a brutal battle for our money and these Coupon Women are declaring war. They are vicious my friend; make sure you don’t laugh or make any derogatory comments when they overlook a ten cents savings; you need to understand that this is not funny for them! Be supportive or if you have nothing good to say, say nothing. Treat them as if they are in the process of giving birth to your child…everything you say can and will be used against you! Yes, I am back to teaching Martial Arts and this time I believe it is going to be for a long season. I am the Founder and President of Good Fight Taekwondo and Kickboxing Academy. 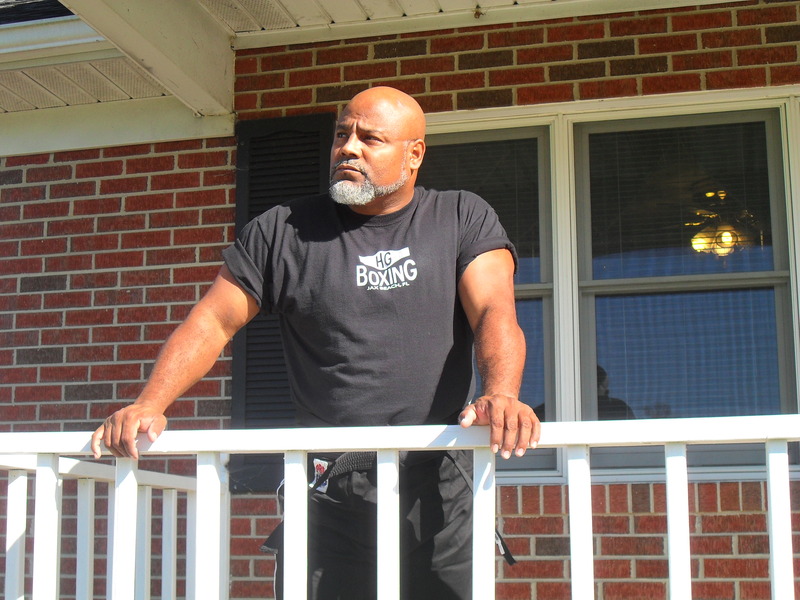 I am operating my business in Gates and Hertford Counties, North Carolina. Currently I have 50 students registered in my program and the list continues to rapidly grow. 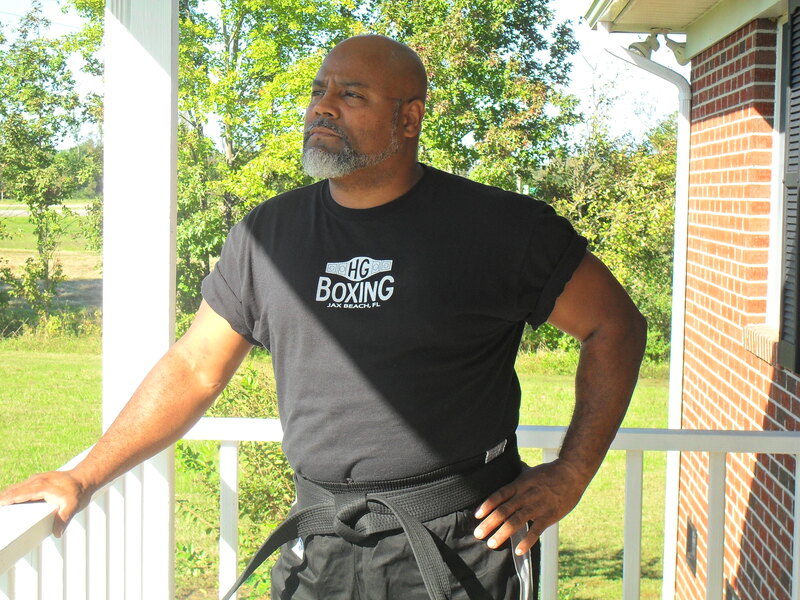 I am teaching at Gates County Community Canter and at Ahoskie Christian (A Private Christian School) This article may not be for everyone, as it is focus on my personal philosophy and approach of martial arts in general. However, I am sure that for my students, lovers of the arts and people considering making me their teacher, this article could be helpful. 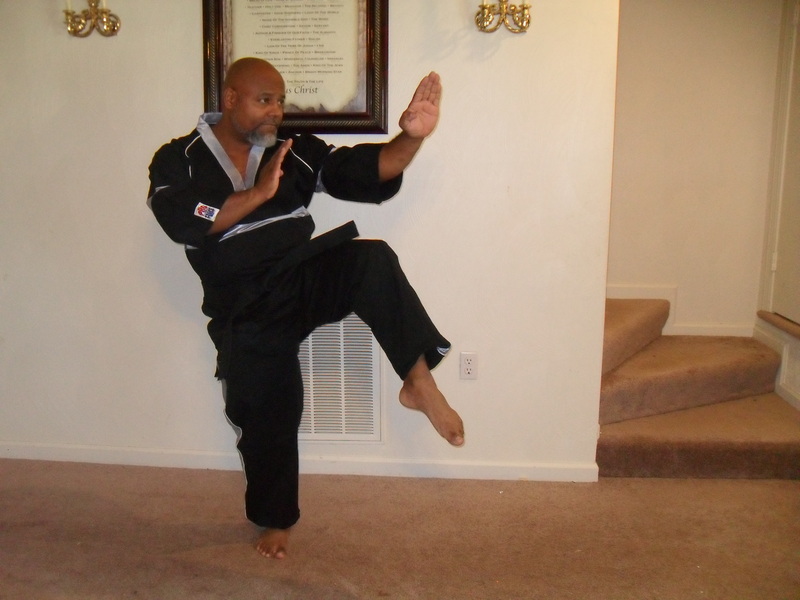 As a Martial Artist I have experienced Boxing, Taekwondo, Kickboxing, some Shotokan and some Wing Chung Kung Fu. In all of these styles I was able to see much non-sense and unpractical traditions in basically all of them, but Boxing and Kickboxing. The Boxer and the Kickboxer trains for full contact competitions, so at least they prepared themselves to hit hard and to receive hard blows. The rules are simple and the expectations become very clear from the very beginning of our training. As a boxer and Kickboxer you will know how hard you can hit and how much you can take. That for me is very important and key in you knowing yourselves as a fighter. However, in the other styles I did see a lot of worthless traditions and drills that were useless in real life situations. It is expected that an advanced Martial Artist be able to fairly defend him/herself under normal circumstances. To see a High rank Martial Artist, even Black belts, in situations where they are unable to even have a balanced fighting stance is ridiculous. It is almost as if today we are literally selling the Black Belt rank and people are walking around thinking that they can fight when in reality they don’t have a clue what true fighting is. As it refers to Martial Arts, I am so glad for the MMA (Mix Martial Arts). Why? Because Mix Martial Arts have shown us that many of our traditions as Martial Artists are indeed a waste of time and money. When you are in that cage whatever forms you learn, whatever fancy kick you give and crazy stances you properly executed in exhibitions will become useless. If you don’t know how to keep your hands up, if you don’t know how to keep your balance, if you don’t know how to throw punches and effective kicks and if you don’t know how to defend yourself on the ground you are up to a very rude and painful awakening. One of the greatest problems I see in the Martial Arts world today is the overwhelming emphasis on Point Fighting. This is a light contact competition that pretty much stops every time someone throws a technique to determine by three of four judges if the point will be granted or not. It gives the Martial Artist a delusional sense of their abilities as fighters, especially if they are successful in these kinds of tournaments. In real fight situations, there will not be a person stopping the fight and judges determining if that was a point or not; it will be a continues attack. Things get worst with Taekwondo because they allow kicking to the head, but not punching to the head; this creates a very lazy defense. Worship Leaders: Are You Listening? I was talking to my son the other day about Christian music. For the most part, I found most music in our churches to be extremely boring. When was the last time the church brought forth a new revolutionary sound to the earth? Jazz, Latin Jazz, Reggaton and many other styles were birth out of the heart of secular music. Then, we come right behind them and place “Christian” in front of their music. I told my son that somewhere down the line we became lazy and stopped listening to the sounds of heaven. Heaven has not run out of music. Our best music is nothing compared to the sounds of heaven! So, it is time to listen! Many pastors and church folk have found it acceptable to put down Christian musicians that are striving to present Godly music in a more excellent way. They call these kinds of Christians, “show -offs.” In the process, their churches are filled with music that is totally dead. They find it “okay” to study twenty hours a week to give us a prepackaged, un-anointed message full of information, yet lack the power as they reject even a small variation of our Sunday Music torture. God is able to hear the heart, but He is God, we are not. Furthermore, we are forced to put up with music that is “off key” and presented in the most unprofessional and insulting manner. To do music you must be talented and possess that gift. It is not for everyone. This is an hour when God is dealing with Christian musicians and singers. The fire of God has fallen upon us and HE is exposing and burning the trash out of our souls. We are becoming clean vessels for His glory and He is about to pour out His Spirit, preparing our hearts for the sounds that He is about to release. Oh yes, in our brokenness and the shame of our sins being exposed; God is cleansing, humbling, preparing, equipping and forming true love in our hearts. We are listening again. The conditions of many of our own lives have forced us to take a second look at our own Christianity: to question ourselves and understand that there must be more. Many of us can no longer hide! While others brag about their little achievements in the flesh and exalt their filthy rags, others will know, as a revelation, how nothing we are and how everything God is. In our brokenness we will be terrified to take God’s glory…He will get the glory! I know in my own life, there is great cleansing taking place! I have felt hopeless. I have felt like it’s truly over for me, that I am truly disqualified; but the Lord is saying to me and you…“No, for I am preparing you, says the Lord, for something so great, something so awesome that will transform music. The Body of Christ is waking up!” Are you listening? We, as Christian musicians have been satisfied with entertaining, but we will take our role as ministers that will carry God’s anointed like no other people on this earth. We will carry the anointing that will break the yoke out of people. Oh yes, for there was a time when musicians and singers provided the melodies and songs that inspired what we know today as the Word of God: prophecies that are still burning in the wings of time. We know the writers, but we don’t understand that there was a singer, a musician, a mighty warrior that sang and played his instrument “skillfully” before the Lord as the prophet wrote the transforming Word that is still changing lives today. Are you listening? Liberate me, oh God, from the chains of the voices of injustice and the voices of reason. For not everything is true, but some indeed is. The uncomfortable voices of judgment are always ready to sing the songs of condemnation and not many rise up in times of trouble. The closer I get to the Master the more I see how worthless I am without Him. Issues of the heart are always present before me as trophies of great failures and as mountains of shame. I feel the light of God shining brutally on me and I see all the spots on my heart; I have yet to be spotless oh precious God! I am an empty image; a song without a melody, a night without stars and life without the sun. The waters of my river are stagnant without HIM; I see myself so far away from my purpose. Help me Lord! Hold me and don’t let me go, for without you I am nothing. There must be a better way; there must be something I am missing, for I am the chief of all sinners even after all I know. Alone I find myself and unable to move on from the embarrassment of my chains. I thought I learned that one, I thought I learned this other one, but I am humbled by my constant failures. I want to be holy, but, do I really? I question the motives of my deceitful heart. For I do those things that I desire not in my spirit man and I don’t do those things I should. When is it going to be over? When can I say that I made it? Help me Lord and don’t let me go! Increase Your Fire in my life; transform me violently and don’t hold back; do whatever it takes to mold me to be what you want me to be. As a new day starts, here in the beauty of a North Carolina country-land, my heart is filled with hope; my life is filled with purpose…God is transforming me! Tears and laughter will always come, success and failure are constantly dancing together; but may faith and trust in God rule! God will finish the work He started in me and in you. Do it Lord and don’t let me go! Photos taken by my daughter Ileana. I did not even consider going back to teaching Martial Arts. All I wanted to do was to minister, get married and start an exciting new chapter in my life. I knew I did not want to go back to Social Work, but I was obviously willing. After finding out that there was no money in my new job as part of the pastoral service I asked myself: What in the world am I going to do? With three children of my own and three more daughters from my fiancee, a job is not only ethical, but a great need. 1. To start getting in shape. 2. To be willing to do something else. God has a way of getting you fed up with what you are doing to facilitate the surrendering of your will for HIS. One day I was working on building a fence; it was hot and I was tired! I then heard the voice of the Lord saying that Donna was going to call so that I could teach her children Martial Arts again. A few years ago, when I was a pastor in North Carolina, I had a short season where I taught a small group of precious people: among that group were Donna and her children. Apparently, I left a positive impression on her. Two hours later, Donna called; I knew then that God was in it. 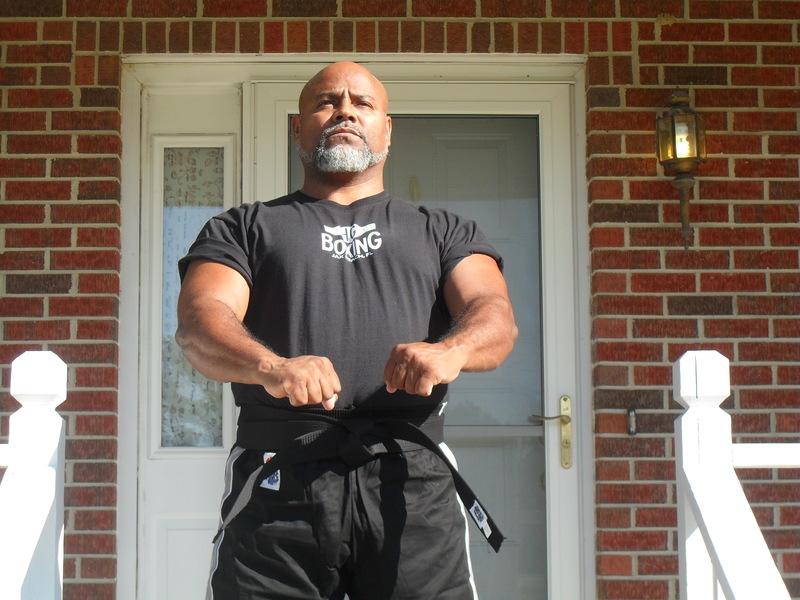 September 10, 2011 marks my return to the teaching of Martial Arts. I feel HIS grace, His presence and the excitement of teaching again. 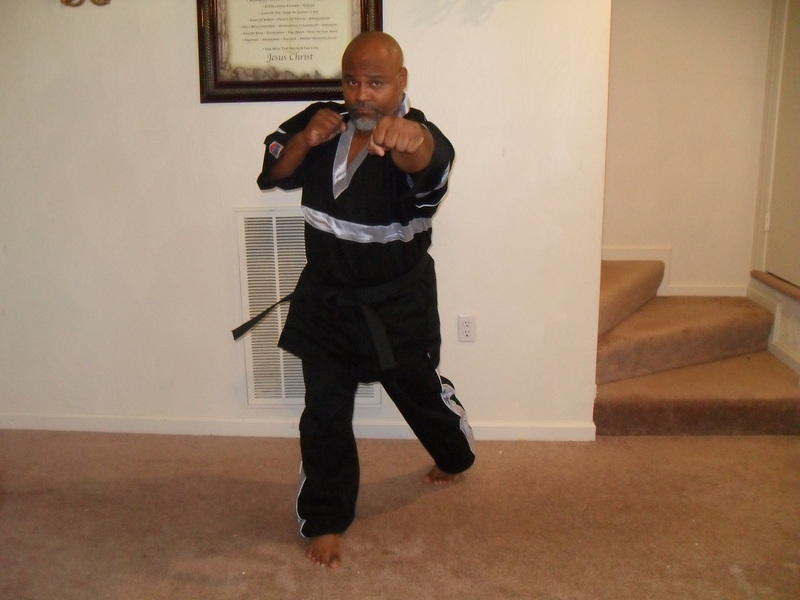 Today, October 6, 2011 is the first time I wear a Karate uniform in over five years.